We’d love your help. Let us know what’s wrong with this preview of No Such Thing as Werewolves by Chris Fox. To ask other readers questions about No Such Thing as Werewolves, please sign up. What's the age range for this book? Also gore level? Disgusting or realistic? Merle A Coleman Jr. Age range is over 14 I would say. There is a lot of killing but not in great detail. Its not disgusting at all. It sorta reminds me of Stargate. While looking through Audible, I came across this book and had to add it to my list. 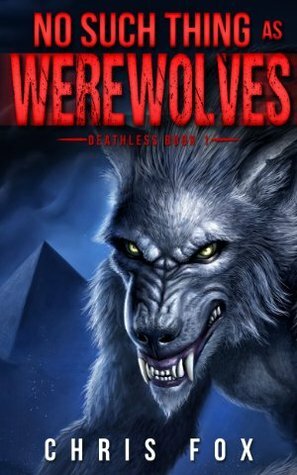 I love werewolves a When a pyramid suddenly appears a team of scientists thinks that it is the discovery of their life. This pyramid predates any other things every unearthed on earth and they have no idea where it came from. What they don't know is that with the pyramid comes something that they think is legend. But it also heralds the end of the world. They need to figure things out before things are too late. I've been letting this one marinate for a while and I'm still not sure how to rate it. It kept bouncing between 2 and 5 stars. The concept is excellent. The writing isn't bad. I kept hitting dry spots that completely lost my interest. There were too many action scenes. They bore me. I think this was overall a noble attempt at blending more genres than were perhaps meant to be blended. It's one of the coolest ideas for a story I've come across in a while but the execution didn't match the concept I've been letting this one marinate for a while and I'm still not sure how to rate it. It kept bouncing between 2 and 5 stars. The concept is excellent. The writing isn't bad. I kept hitting dry spots that completely lost my interest. There were too many action scenes. They bore me. I think this was overall a noble attempt at blending more genres than were perhaps meant to be blended. It's one of the coolest ideas for a story I've come across in a while but the execution didn't match the concept. In a way this was a favorite. In another more accurate way, I don't think I will be reading the sequel. Recommended? Not sure. This was an awesome mix of adventure (think Indiana Jones), Sci-Fi, Fantasy, and Mythology all in one action packed story. While this one did start out a bit slow for me , it did really start to pick up once Blair is in Peru at the site with the rest of the scientific team. From here I found the story very engaging and the story pulls you along on the wild ride that is “There are no Such Things as Werewolves”. There is so much I want to say about this story but so far everything I start out typi This was an awesome mix of adventure (think Indiana Jones), Sci-Fi, Fantasy, and Mythology all in one action packed story. While this one did start out a bit slow for me , it did really start to pick up once Blair is in Peru at the site with the rest of the scientific team. From here I found the story very engaging and the story pulls you along on the wild ride that is “There are no Such Things as Werewolves”. There is so much I want to say about this story but so far everything I start out typing is just full of spoilers…..I will say that in the beginning I was very happy with myself to have figured out what the ancient enemy was….only to have that turned upside down and realized about 60-70% in that I was very wrong (which is a good thing, I like a book that surprises me). And the cliffhanger this ends on…..I mean really….how could you do that to us the listener/reader……that was just kinda mean. I will now have to satisfy myself with the prequel “The First Ark” and bide my time for the audio of the next book to be released. I enjoyed No Such Thing as Werewolves. The premise seemed a bit silly but I'm glad I gave the book a chance as once things get moving they don't let up a whole lot on the pace throughout the rest of the book. There is plenty of foreshadowing of things to come throughout the work, but you still never really knew exactly what would happen when. I like that main characters are regularly killed off so you never know exactly who will be safe and who in danger during the action sequences in the book. I enjoyed No Such Thing as Werewolves. The premise seemed a bit silly but I'm glad I gave the book a chance as once things get moving they don't let up a whole lot on the pace throughout the rest of the book. There is plenty of foreshadowing of things to come throughout the work, but you still never really knew exactly what would happen when. I like that main characters are regularly killed off so you never know exactly who will be safe and who in danger during the action sequences in the book. It's also hard to know who to root for; the "bad guys" aren't so easily defined as all of the characters are fallible. This one read like a tv mini series. I can't decide if that's a bad thing or not. Maybe? The story was interesting, but perhaps tried to do too much. Definitely entertaining. Cliffhanger ending leading into the second part of the series was mildly disappointing after a big lead up to waking the Mother. Like my friend Eleven, I have no clue how to rate this one, so I'm going with 3 stars. Take notice of the warning, "May Contain Werewolves." No Such Thing As Werewolves is a fast paced adventure that I thoroughly enjoyed. What if ancient cultures were far more advanced than we realize? This book answers that question with a mixture of technology, science, mythology, and of course, werewolves. It's a page turner from beginning to end! A mystery surrounding an ancient pyramid, werewolves, zombies, science fiction, romance, good guys and bad guys, and all rolled into a paramilitary action novel. Well I tried, but there was really nothing here for me. I never really got passed the cast of clichéd characters as they set about solving a mystery that was probably best left unsolved. Received via NetGalley and Chris Fox in exchange for an unbiased review. Blair is called to a mysterious pyramid of unknown origin or age to decipher strange glyphs that could possibly revolutionize our understanding of human history. It is there he uncovers the truth: werewolves exist and they aren't our true enemies. He and Liz must release an ancient being to possibly avoid catastrophe, but with the clock ticking can they come to grips with this strange new reality and fix the mistakes they’ve Received via NetGalley and Chris Fox in exchange for an unbiased review. Blair is called to a mysterious pyramid of unknown origin or age to decipher strange glyphs that could possibly revolutionize our understanding of human history. It is there he uncovers the truth: werewolves exist and they aren't our true enemies. He and Liz must release an ancient being to possibly avoid catastrophe, but with the clock ticking can they come to grips with this strange new reality and fix the mistakes they’ve made before it’s too late? Fox attempts to take the Werewolf lore and make it his own, drawing on old lore and establishing a connection between werewolves and humans like never before. The werewolves aren’t necessarily as evil as we initially believed, and maybe they hold a purpose beyond slaughtering innocent humans for food. The development of a lore that places humans as a race not bred for sustenance but rather the “unblooded” delves into the current’s lore’s weaknesses: if we are just food why not enslave or massacre our population? It was difficult to read this book and to take it seriously. Fox attempts to establish too many new tweaks on old lore, and develops a story that is entertaining but quickly leaps out of the pool of believability. Although well written and enjoyable, the book itself becomes less serious and more comical after a point. A development of new alterations to lore for not just werewolves but also their assailants (I don’t want to give away any details here!) made the book too obscure for a great sci-fi or paranormal adaptation. The story still continues on with proper speed and detail: fitting for a book that requires a lot of one-on-one combat, fire arm use and blowing things up. In the style of Cussler, Reilly and Rollins, Fox creates a story that starts with an ancient mystery, sets us up with an enemy who wishes to destroy the world, a side love story, and a cliff-hanger ending to keep readers wanting more. Fox is a writer who will appeal to readers of action, adventure, paranormal and para-military fiction. A great read for a day when you don’t want to be challenged, but want a surprise – this book is anything but cliché. Don't try to classify this book. It's really a mixed genre read with a dominant werewolf story but there's ancient history, scifi and so on. Just enjoy it, because it's good fiction. It's an ensemble cast of characters so start paying attention to names to keep track of who is doing what. The action is pretty much nonstop in this book. At times I felt like I was reading scenes from an action video game with characters jumping from scene to scene. There's a lot of mythology and backstory that the Don't try to classify this book. It's really a mixed genre read with a dominant werewolf story but there's ancient history, scifi and so on. Just enjoy it, because it's good fiction. First of all, how can you go wrong with a story about Werewolves and Zombies? Well, you really can't. Especially in this new imagining of why they exist in the first place. Then weave in ancient legends and mythology creating a world at odds for millennia. What is at the heart this long lasting war? Of course, you are going to have to read it to find out. What a book! An absolutely gripping roller coaster of a story. Can't wait for book 2 to come out! 60% DNF. I was desperate for a good WW book but I just can't push through this one. It's all over the place with too many characters to keep up with. Damned shame because I really like the narrator. He is the only reason I lasted to 60%, before giving up. This is an original review from http://bookedandloaded.com - all opinions are my own. I personally purchased this title. It is true. I loved this book. I kind of suspected a bit of mediocreness all the way around, but that is what I get for assuming. In all fairness (so This is an original review from http://bookedandloaded.com - all opinions are my own. I personally purchased this title. The title alone would make me want to read this book. Then there’s that frightful cover art. Knew this was going to be good. But it was chock full of surprising twists. I thought I knew what was inside the pyramid. Nope. Kind of wrong there. And I thought this would be kind of predictable. Way wrong there. Great characters. Too many to talk about individually. Good guys. Bad guys. Important secondary characters that do their part to flesh out the story. And those from the pyramid. Well, I can’t te The title alone would make me want to read this book. Then there’s that frightful cover art. Great characters. Too many to talk about individually. Good guys. Bad guys. Important secondary characters that do their part to flesh out the story. And those from the pyramid. Well, I can’t tell you much about them. But loved em. And something else, dark, evil. Can’t tell you anything about that or I’d spoil things. I’m trying to categorize a genre but I can’t. Some science fiction and fantasy. Maybe a little mythology. Definitely suspense and mystery. And a healthy dose of horror. A pyramid is discovered in Peru. It predates anything ever discovered on Earth. Teams rush to the scene, eager to to see what it hides inside. Nothing could prepare them for what happens next. Sound like something you’d like? I recommend you go grab a copy. It may take a short time to get to the action, but once it starts, you won’t be released until the end. 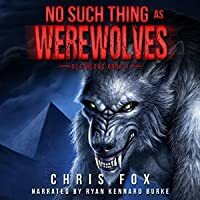 At first I didn't think I would like this book but after listening for awhile I began to get into it and enjoyed it a lot.“No Such Thing as Werewolves” is a science fiction novel that brings together ancient civilizations, an apocalyptic threat, and werewolves—the result is a story that’s tense and exciting.Great book & a great beginning to what I'm sure is going to be an amazing adventure! Fox does a great job of weaving folk lore and history together in his first book. I'm excited to see w At first I didn't think I would like this book but after listening for awhile I began to get into it and enjoyed it a lot.“No Such Thing as Werewolves” is a science fiction novel that brings together ancient civilizations, an apocalyptic threat, and werewolves—the result is a story that’s tense and exciting.Great book & a great beginning to what I'm sure is going to be an amazing adventure! Fox does a great job of weaving folk lore and history together in his first book. I'm excited to see where this adventure will go! This book was much more than I thought it would be going in. I pleasantly surprised how awesome a read it was. The description doesn't give justice to how much more this horror story covers. You'll love it!! I was not pleased at all with the massive cliffhanger ending but the author immediately apologizes and explains why it was done. I liked this book so much I signed up to be informed when the sequel comes out. This is a wonderful story or werewolves and zombies. It appears to be the first in a series. It's quite long and you are very sorry it ends. Can't wait for the next book. When a giant pyramid appears in Peru mankind of course tries to profit from it. This ancient pyramid is from a race of werewolves, preserved for the purpose of saving the world. This story deals with the history of the werewolves and their survival, I'm guessing book two will give us a background of the zombies. This review has been hidden because it contains spoilers. To view it, click here. Very good read. Looking forward to book 2. Had a similiar idea awhile back about a werewolf book (actual werewolves not shifters who turn into regular wolves) fighting in a zombie apocalypse. But I'm not a writer so idea was missed out on. This book brought it to life and now waiting to see how it continues. Love werewolf books and this is a very good one with an original premise. Entertaining. I am listening to the whole trilogy on audio book. I haven't read anything recently that digs into the Egyptian pantheon at this level. Not the mythology but it's more all the names and attributes of the gods and goddesses. They're all here for the end of the world. Yes there is an apocalypse and the gods are being very naughty. There was something about this book that couldn't hold my interest.A lot of background talking and extra stuff put in for a follower I guess. But I thought this book was uninteresting. I won this book in one of Goodreads contest, and wow. This action packed story is a wonderful new twist on the werewolf, zombie story line. I really enjoyed reading it. I loved the characters, and their battle with what they had become. Refreshing new viewpoint and a fun read. Son of a...It's a damn cliffhanger. Oh hell no! I didn't go through this drawn out, although well written, frustrating read to be smacked with a cliffhanger. Rude. I want the next book to come out right now!! What a cliff hanger. I hadn't read such a good book about werewolves in a while. I'm glad I took a chance on this one. Seriously my top 5 of all time best books. Wait you’r By day I am an iPhone developer architecting the app used to scope Stephen Colbert’s ear. By night I am Batman. Ok maybe not. One can dream though, right?